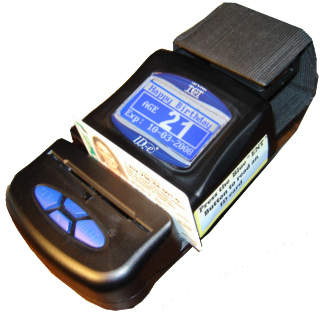 TABLE TOP or PORTABLE READS: MAGNETIC and 2 D BARCODE Driver License & ID's. * Scan in the Dark, See the Age 20 Feet in pitch dark. * Reads all USA & Canada, Player Tracking Cards, Loyalty cards, Club Cards, Credit Cards & more. * Match your Security Video Time Stamp with ID-e Time stamp to prove who was scanned.